The freshest ingredients cooked to perfection. 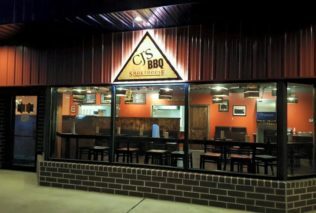 Built on tradition of CJ’S American Pub and Grill in Shippensburg PA., CJ’S BBQ Smokehouse brings to Chambersburg the finest in smoked BBQ. The freshest ingredients cooked to perfection, coupled with many different types of sauces to meet the various taste of BBQ in America. 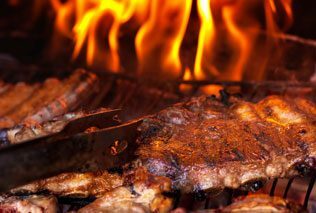 We are dedicated to excellence and customer satisfaction to bring you the best BBQ experience in the area. Stop in for lunch or dinner or browse our Party Pack Menu for your catering needs. Large orders over $200 may be considered on days we are closed. From entrees to specialty sandwiches and more, check out our tasty, finger-licking menu. Customize your order to handle any combinations of items to fit groups up to 160 people. Call 717-261-4760. 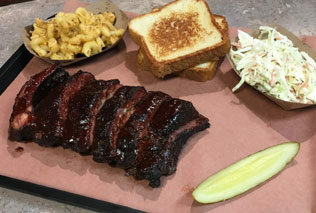 CJ'S BBQ Smokehouse is open Thursday through Sunday 11:00am-8:00pm. Copyright © 2019 CJ’S BBQ Smokehouse. All rights reserved.